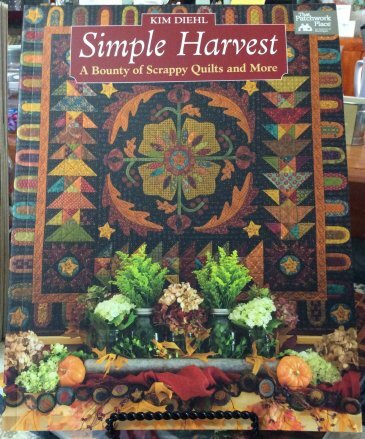 I don't know about you but it is a nice chilly day here - perfect for hot tea and quilting! It's also November and that means the Holidays are creeping closer to us! 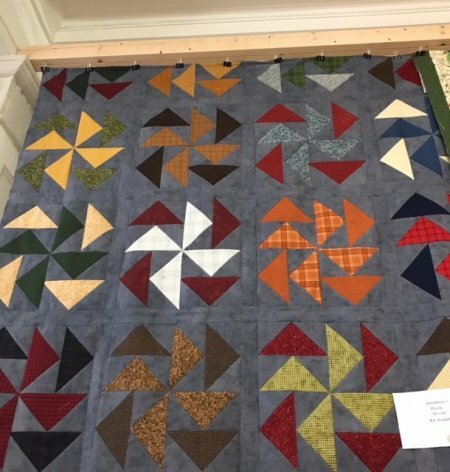 We are in full swing with our pillow case and pantry drive...and we have some fun quick quilt kits all ready to go for those who may be looking for some simple Christmas gift ideas! 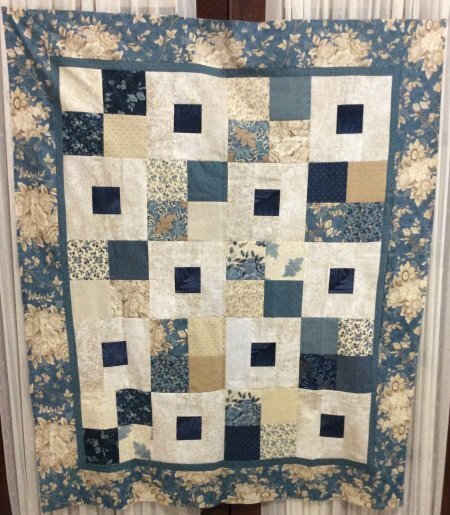 Another stunning sample up is the beautiful Polo quilt featuring Blue Barn prints by Laundry Basket quilts! This throw size quilt would make the perfect addition to any room this Holiday season! I hope you all have a wonderful weekend - we will be open tomorrow! And it's Woolie Saturday so grab a friend and come for a great time! Blessings to you!